Our newly renovated apartment homes are filled with perks such as brushed nickel hardware, refinished cabinetry, brand new countertops and oversized closets. Prepare a meal in your well-equipped kitchen complete with a new black refrigerator, stove, dishwasher and garbage disposal. 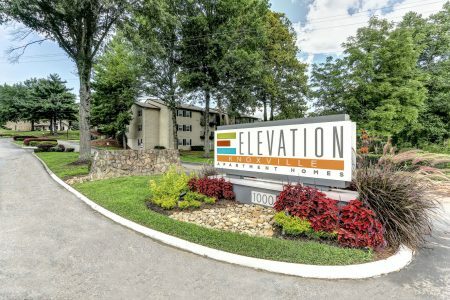 Elevation Knoxville offers the life you want to live! Our community of spacious one-, two-, three- and four-bedroom townhomes and garden style plans feature a convenient location to Downtown and West Knoxville.